New details are emerging about what's exactly going down at OnLive, thanks largely to the company's revelation of details about its acquisition and restructuring. According to a company statement issued Sunday, the cloud-streaming video game service went through Assignment for the Benefit of Creditors, a type of bankruptcy, and restructuring in the face of "difficult financial decisions." A new company has formed under the OnLive name and will continue to offer its services uninterrupted, the statement said. The new company has offered nearly half of OnLive's employees new positions after everyone, including CEO and founder Steve Perlman, were laid off, losing their company stakes in the process. No title or contract were offered to Perlman, according to Gary Lauder, managing partner of the venture capital firm Lauder Partners, the company that offered initial funding to the newly restructured company. 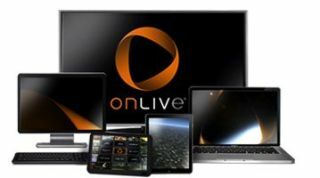 Perlman, who an employee said many blame for failing to sell the company at various junctures, hasn't received compensation for OnLive's assets or compensation from the new company, either, OnLive said. The nearly 50 percent rehire figure falls in line with a report from an OnLive employee Friday that at least half the staff would be let go. However, according to OnLive, the new company has offered many of the employees who weren't offered positions contract work in return for stock options. The new company plans to hire more OnLive employees as well as hire outside workers as additional funding comes in, the company's statement said. OnLive spokeswoman Jane Anderson said that while Lauder Partners is so far the new company's sole investor, they expect new investors to come aboard soon. In their statement, OnLive also said company executives have had their pay cut "to allow the company to hire as many employees as possible within the current budget." HTC, one of OnLive's major investors, bluntly explained what led to OnLive's restructuring and its own $40 million (£25.5) lose. "Due to lack of operating cash and an inability to raise new capital, OnLive had completed asset restructuring over the weekend," HTC's filing with the Tawain stock exchange said. Though the details of why the company had to file for Assignment for Benefit of Creditors, or ABC, are still unclear, what the filing means for the company on a legal level is known. ABC operates under state law and allowed OnLive to assign its assets to an entity of its choosing, rather than one picked by a bankruptcy court. It then falls on the assignee's shoulders to pay back the insolvent company's creditors with money raised through the sale of the company's assets to a third party, in this case the new OnLive. With OnLive's ABC, all its technology, intellectual property and other assets are part of the sale. Lauder reportedly wouldn't disclose how much the assets sold for or how much his firm has invested in OnLive. Though Lauder said the new company has more than enough funding to last until more investors are found, HTC isn't the only investor to cut a lose from OnLive's acquisition. UK-based BT said it's "highly likely" it'll need to write off its 2.6 percent stake in the company.